Beyond Insights > Resources > Options – A mighty tool for traders. Options – A mighty tool for traders. Options are exactly as defined. They give the option holder a choice. An option is a contract that gives the buyer the right but not the obligation to buy or sell stock at a specified price on or before its expiry date . There are 2 types of options; call options and put options. A call option gives the buyer the right but not obligation to buy stocks at a specific price in a given time by paying a small premium beforehand (typically 2-10% of the stock price). When we buy a property we will normally pay a “booking fee, which is normally about 10% of the property price. That “booking agreement” gives us the right to purchase the property at the agreed price at a future date (usually within 3 months to get the loan approval). However, as a buyer, we are not obligated to buy the property (in which case we will lose the booking fee), but the seller has the obligation to sell if we decide to buy it. It is also possible for us to transfer the “right” to another person, at a higher price, should the value of the property goes up before the agreed date. That is exactly how buying a call option functions. You can buy a call option for your stock and if it is within the expiration date you can purchase the stock at the predetermined price (also known as strike price). Most traders do not exercise their options they trade options with other traders who are looking to buy the same stock. For example, if you have an option for a year for XYZ stock to be purchased at $65. This option cost you $6.50. If at that point you are no longer interested to purchase the XYZ stock, you may sell it to other traders for a price of $10. This will earn you $3.50 which is a 54% profit. A put option can be used as insurance for your stocks. For example, if you buy 100 units of XYZ stocks for $60 but you are worried the market will crash anytime this month. Then, you can buy a put option which will allow you to sell 100 units of XYZ stocks at $60 within 1-2 months for a small premium. If the market stabilizes and you are no longer worried of market crashes, then you can sell your option to another interested trader for a higher premium. It can be constructed to meet many trading objectives, protection or hedging. Higher probability of winning as you can make money in more than 1 direction concurrently (e.g. Win as long as a stock stays above a certain price or below a certain price). Your risk is only limited to the premium paid in worse case scenario (usually 2-10% of stock price). It can be used as insurance. Careful combinations of 2 or more Options contract can lead to many powerful strategies to take advantage of different market trend and protection requirement. Are options available in any stock market? Are options suitable for me? Options has a steeper learning curve to master as options requires you to learn how to choose the right contract with different prices and expiry dates as well as how to combine different options to your benefit. 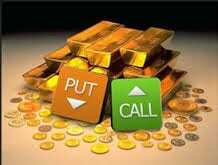 However, once mastered options will serve as an extremely beneficial tool in trading. Options are well suited for someone who is well versed at trading and has had prior experience in trading. Once correctly mastered, multiple options can be used as a beneficial strategy to complement your trading skills.